To get your highest score possible on the LSAT, you need the best LSAT prep book. To help you sift through the wide array of resources on the market, we’ve put together this helpful guide outlining the best LSAT prep books available. Read on to find out which things we love most and least, so you can pick the ideal book(s) for your study! 10 Actual, Official LSAT PrepTests Volume VI contains, you guessed it, 10 official LSAT tests. What you may not know, however, is that 10 prep tests is exactly the right amount of tests for your LSAT prep. If you are planning to spread out your studying over a few months, this book is perfect because you’ll want to take at least 4, full-length practice exams. Unlike other test prep books, which use questions designed to be like actual LSAT questions, this book contains only official LSAT questions. This book only contains the practice exams and answers—there aren’t any explanations to help you understand how to get to the right answer (but you can find some of these explanations on Magoosh LSAT!). 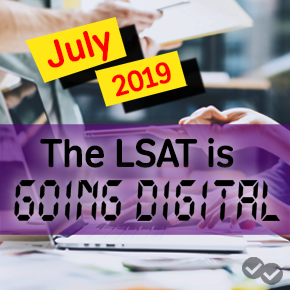 There are no strategies for the different LSAT sections, helpful tips to remember on the day of the test, or information about getting into and succeeding in law school. If you’re planning to study over a few months or longer, you’d benefit from this book full of actual practice tests. You can include these tests in your timed practice and familiarize yourself with the official questions and formatting. However, you’ll need to purchase at least one other book that includes strategies and practice problems with full explanations. The Fox Test Prep Quick & Dirty LSAT Primer takes a humorous approach to the LSAT and breaks all the sections down into manageable pieces. The book lays out the Ten Commandments for tackling the LSAT. These are great tips on how to conquer the LSAT (and included is a welcome dose of humor). Fox uses these commandments throughout the book to give you an easy way to remember his recommended strategies for each section. This book provides concise, 2-3 page descriptions of main and rare logical reasoning question types with sample questions from actual LSAT exams. Fox works through two of the main game types—grouping and ordering—with ease to make these games approachable. Once you’re done reading his explanations, your fear of logic games will start to disappear. There are no practice tests or practice problems provided, so you’ll need to purchase at least one other book. This is a very short book, and most of the book is dedicated to Logical Reasoning. While Logical Reasoning does make up half of the LSAT, this may not be the book for you if your weakest areas are Reading Comprehension or Logic Games. For example, there’s no discussion of hybrid games or rare game types. Fox does not get into the higher level, more difficult LSAT questions, so this may not be the book for you if you’re already a high scorer and are looking to focus on the most difficult questions to raise your LSAT score. Introducing the LSAT is a great overview book for beginning your LSAT prep with a bit of humor. Just be sure to also grab one of the longer books with full length practice tests and practice problems, like 10 Actual, Official LSAT PrepTests or Princeton Review’s Cracking the LSAT Premium. And if you enjoy the approach of this book, check out the Fox LSAT Logical Reasoning Encyclopedia: Disrespecting the LSAT, which uses the same humorous approach to go through over 550 actual LSAT questions. Kaplan’s LSAT Unlocked is a great overall book for your LSAT preparation, with recommended approaches for each of the LSAT sections. Access to one full-length practice test online along with video lessons and online workshops for every LSAT section. Great overview chapter of the LSAT, including a list of the Dirty Dozen—the most common mistakes students commit when prepping for the LSAT. There’s a whole chapter just on LSAT reasoning that teaches you the basics of formal logic, which you can apply to both the Analytical Reasoning and the Logical Reasoning sections. Includes Logic Games from actual LSAT exams and sample sketches for each game type to show you how to approach all the different games you’re likely to see on the real LSAT. This book has a very helpful chapter on Reading Comprehension that outlines a great method for developing a roadmap for Reading Comprehension passages. Sample marked up passages demonstrate how to make notes and what to highlight as you’re reading passages. The book also provides unique approaches for all of the most common Reading Comprehension questions. A lot of the book is dedicated to teaching you methods for all of the various Logical Reasoning questions on the LSAT. There’s very little information on the law school admissions process or the practice of law. If you’re looking for more about those topics, LSAT for Dummies or the Princeton Review Cracking the LSAT Premium would be the better choice for you. Kaplan’s LSAT Unlocked is a solid overview LSAT prep book with strong methods for approaching all of the sections on the LSAT. The drawbacks? The book doesn’t contain any full-length practice tests or provide any helpful information on law school admissions or practicing law. I’d recommend pairing this book with another that contains full-length practice tests and some additional information on law school, such as such as Princeton Review’s prep book. Note: If you find you love the LSAT Unlocked approach, be sure to check out LSAT Logic Games Unlocked as well. The PowerScore LSAT Bible Trilogy is a comprehensive set of books: Logical Reasoning Bible, Logic Games Bible, and Reading Comprehension Bible. While this set is the most expensive on this recommended prep book list, it is also the most extensive resource on the market in terms of number of pages dedicated to teaching LSAT strategies and methods. Each book contains drills and practice problems for each LSAT section. For example, the Logical Reasoning Bible contains a “Premise and Conclusion Analysis” drill to help you learn to identify these crucial parts of a logical reasoning question. Each book also has a chapter on “Section Strategy and Time Management” to help you learn how to pace yourself for each section. The practice problems are all taken from official LSAT tests. The explanations are very in-depth, almost to the point of providing too much information. So, if you’re looking for a quicker way to prepare for the LSAT, this may bog you down. There are no full-length practice problem sets or tests contained in this series, so you would need to purchase at least one additional test prep book that contains full-length practice tests. The PowerScore Bibles have a tendency to elaborate on every possible arrangement of questions, which can be overwhelming at times. If you’re looking for a simple approach to the exam, this is probably not it. However, if you have a lot of time to dedicate to studying for the LSAT and are looking for in-depth explanations, the PowerScore Trilogy would likely be the best option for you. Be sure to pair this trilogy with the 10 Actual, Official LSAT PrepTests book for full-length practice tests, which are essential to your LSAT prep. The Princeton Review’s Cracking the LSAT Premium has a nice overview chapter with general strategies and techniques, and there are summary pages at the end of each chapter with bulleted lists highlighting the key strategies from the chapter. Mantras, such as “I will take a 10-second break after every five or six arguments,” are listed in call-out boxes and help you stay focused on the task at hand. Purchasing the book gets you access to Princeton Review’s “Premium Portal” where you can watch videos of Princeton Review teachers explaining question types and strategies, review study guides, and access extensive profiles about hundreds of law schools. There are in-depth explanations of all Logic Games question types, including handy charts that outline the main game types. There are also sample diagrams to help you better understand what your diagrams for Logic Games should look like. This book contains two full-length practice exams with detailed answer explanations, and four full-length tests are available online. Bonus chapters on the law school process from application basics to advice on the legal job market. Full chapter on the writing sample, including helpful call-out boxes, an overall approach to the sample, and a full sample essay to help guide your writing. Helpful, short drills at the end of each chapter for all of the LSAT sections to test your understanding before doing a full-length practice test. This is a straightforward book, which can be a bit boring. If you need a good dose of humor to keep you interested like I do, then be sure to include Fox’s Introducing the LSAT as part of your studying. The book is very extensive, so if you’re looking for a quick overview and strategies this may be more time exhaustive than what you’d like. Princeton Review’s Cracking the LSAT Premium is one of the best LSAT prep books on the market. It’s full of well thought out approaches to each section of the LSAT, including the writing sample, and it includes a total of 6 full-length exams with explanations. I’d highly recommend making this one of your books in your LSAT prep. Mike Kim’s The LSAT Trainer is an easy to read, concise prep book. The explanations are easy to follow and complex concepts are broken down into manageable pieces. If you’re a visual learner, you’ll love The LAST Trainer. It features call out boxes, columns, and important quotes in bold, all of which make for an easier read. With 32 lessons to learn from, this book more than adequately covers everything you need to do well on the LSAT. And the lessons cover all three section of the LSAT, so you don’t have to worry about missing anything. There are over 200 real LSAT questions to use for practice. There are inspirational quotes weaved throughout that will keep your stress in check and help keep you stay motivated! This book contains no full-length practice tests, so you’ll need to purchase another book, like Official LSAT PrepTests VI, to get all the practice test prep you need to improve your score. The LSAT Trainer doesn’t contain as many practice problems as the PowerScore Trilogy. If you’re looking for tons and tons of practice problems and/or you have a lot of time to study, the Trilogy may be a better choice for you. The LSAT Trainer is a tremendous resource for self-driven students who appreciate nicely formatted, easy to follow lessons. The book offers concise lessons on every section of the LSAT that incorporate easy to follow tricks and strategies. However, with only two hundred practice problems and no full-length tests, you’ll need at least one additional book to round out your LSAT prep. There are so many LSAT books on the market to choose from. Use these reviews to help you choose the best LSAT prep book for your unique study needs and goals. Once you’ve decided on the book you’d like to get, be sure to review our LSAT study plans to get the most from your prep. 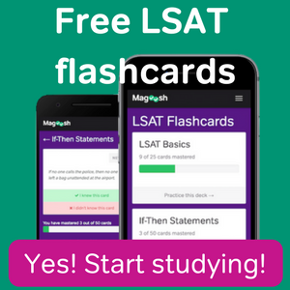 You can also find hundreds of LSAT lesson videos, official explanation videos, and practice questions through Magoosh’s online LSAT program. Armed with the best materials and study plan for you, you’ll be ready to go out and conquer the LSAT!